New AirPods Are Powered by the New H1 Chip feature 50% more talk time, hands-free “Hey Siri” and the option of a Wireless Charging Case — Apple today announced new AirPods, the second generation of the world’s most popular wireless headphones. AirPods revolutionised the wireless audio experience with a breakthrough design and the new AirPods build on the magical experience customers love. The new Apple-designed H1 chip, developed specifically for headphones, delivers performance efficiencies, faster connect times, more talk time and the convenience of hands-free “Hey Siri.” AirPods come with either a standard charging case or a new Wireless Charging Case for convenient charging at home and on the go. The new AirPods and AirPods with Wireless Charging Case are available to order on apple.com/nz and the Apple Store app starting today, and in Apple Stores beginning next week. NZ Pricing and Availability – AirPods with standard charging case will be available for RRP NZ$279 inc. GST and are available to order on apple.com/nz and the Apple Store app starting today, and in Apple Stores starting next week. AirPods with Wireless Charging Case will be available for RRP NZ$349 inc. GST and are available to order on apple.com/nz and the Apple Store app starting today, and in Apple Stores starting next week. Customers can order the standalone Wireless Charging Case for RRP NZ$139 inc. GST on apple.com/nz and the Apple Store app starting today, and in Apple Stores starting next week. New for AirPods, customers can add a personal engraving to the AirPods with standard charging case and AirPods with Wireless Charging Case for free during checkout on apple.com/nz and the Apple Store app. 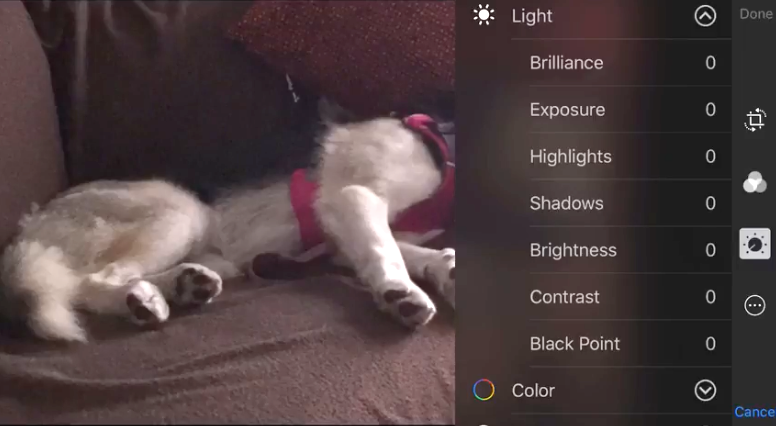 Apple World Today Video Tip is a quick look at photo editing in the iOS Photos app — The iPhone is a wildly popular camera, but not many people know that they can use editing tools available in the included Photos app to adjust and annotate their photos. In this video tip, we’ll show you how to bring up the editing tools, use some of them (including the new Markup tool), and even revert to your original unedited photo. iOS 10.3 resolves 911 issue — Apple’s iOS 10.3 update, released last week, has reportedly resolved a 911 flaw. At issue was an iPhone feature allowing users to click on a phone number to immediately start a call. The update requires you to now always press a 2nd confirmation. In October 2016 a teenager allegedly designed code that would cause iPhones to repeatedly dial 911. The code went viral, and teenagers all over began using it as a prank, overwhelming 911 call centers in numerous states. How to securely back up your iPhone or iPad to iCloud or iTunes — It was probably prudent to make a backup of all of your iPhone’s data before the shift to APFS with iOS 10.3 was applied, but fortunately it all went okay — but what if it hadn’t? In celebration of Backup Day (which was last week), AppleInsider shows you how to back up your iPhone or iPad. Twelve South AirRings for AirPods: Turning tech into fashion accessories — Twelve South is always at the cutting edge of tech design, and now the Apple-only accessory company is merging fashion and hi-tech with its first product for Apple AirPods. The new AirRings for AirPods transform AirPods into earrings. 2/ AirPods volume control is via Siri — Telling Siri to “increase/decrease volume” will land users at the nearest default level —0, 13, 25, 38, 50, 63, 75, 88 and 100 percent. 3/ Add percentages — You can add percentages from 0 to 100 percent onto the back of volume control commands. Granular changes within two percentage points are hardly noticeable, but tweaks above three points are surprisingly distinct. For those who want greater control, Siri lets users set audio output volumes by percentage. First, invoke Siri with a double tap on an AirPod, or say Hey Siri or long-press your iPhone/iPad Home button. Now say, “Set volume at 53 percent” or “lower volume to 23 percent.” Apple’s virtual assistant is capable of understanding a number of command variations including “raise/lower volume,” “turn sound up/down,” and “increase/decrease volume,” among others. 5/ Print PDFs from emails — There is another hidden feature in iOS – this one lets you print-to-PDF with any email. This doesn’t require a third-party app or another email client: you can do it inside Apple Mail with 3D Touch. Open Apple Mail on your iDevice (iPhone and iPad). Open the email you want to save. Tap the Reply button and a menu pops up with three options: Reply, Forward – and Print. Tap Print. You’ll now see a screen where you can select a physical printer over Wi-Fi. But if you 3D Touch the email (press harder on the screen, a feature added from iPhone 6s), this message it will ‘pop’ and add a Share button at bottom right which lets you Share the email to PDF. This works for single page emails and emails with multiple pages. It’s a great way to save email receipts or important emails from VIPs. AirPods aren’t perfect, but wonderfully designed — They’re as easy as possible to use. Once set up, you can listen to music (or movies, TV shows, or podcasts) and use Siri. The AirPods come in a magnificent charging case. Flip open the case (which is small enough to slip into your pocket), hold it close to your iPhone, and the AirPods pair instantly. They’re then immediately available to use with your iPad, iPod touch, and Apple Watch, as well as any devices signed into your iCloud account. Well, almost any. More on that in a sec. Pokémon GO is now on the Apple Watch — Pokémon GO is now available for Apple Watch, allowing you to explore and experience the world around you directly from your wrist. Apple debuts three videos promoting iBooks exclusive ‘A Song of Ice and Fire’ enhanced e-book — Apple has shared three promotional videos touting the new enhanced edition of “A Song of Ice and Fire,” on which HBO’s hit show “Game of Thrones” is based, which landed as an exclusive in the iBooks Store in September. Scrivener for iOS update delivers small but strong improvements — The latest solid version of Scrivener, recently refined with an update , shows the writing app has aged well through years of development on multiple platforms. AppleInsider puts it through its paces, and takes a look back at Ulysses too. Uber is getting more convenient and social with Snapchat integration and new filters, as well as the ability to set a friend’s current location as your destination. Leaked documents show breadth of iPhone data accessible by Cellebrite forensic tool — Thanks to the recent encryption debate many smartphone owners are keenly aware of personal data stored on their iPhone, from contacts to calendar entries to photo metadata and more. Newly leaked documents relating to Israeli digital forensics firm Cellebrite demonstrate how much of that information is available to law enforcement agencies, at least when a device is left unencrypted. Tinder-style god game — Reigns isn’t your typical resource-management game – not at all – but you will be required to manage resources (to some extent). Reigns is a mix of genres: Resource management, choose-your-own-adventure, decision-making, and… Tinder? AirPods unboxed: Apple’s other new wearable of the future — Apple’s new AirPods wireless headphones are just hitting the market – albeit nearly two months later than intended – delivering sleek, minimalist style and powerful underlying tech that’s super easy to use in an apparent homage to the company’s original music offering: iPod. The iPhone 7 tops the Tech division of Google’s ‘Year in Search 2016’ — The iPhone 7 came in second place (trailing Pokemon Go) in global searches for 2016, according to Google’s Year in Search results. Rounding out the top five were Donald Trump, Prince, and Powerball. However, iPhone 7 topped the Consumer Tech division for the total number of searches, trailed by Freedom 251, iPhone SE, iPhone 6s and Google Pixel. Apple’s iPhone-centric Music app refresh in iOS 10.2 — With nearly every version of iOS since Apple Music rolled out in 2015, the company has been tweaking the user interface in a bid to make things easier for users —and iOS 10.2 is no exception. Apple TV’s Universal Search gets support for Apple Music, more — Universal Search, which allows users to find content across multiple apps and services using text or Siri voice search, has expanded for the fourth generation Apple TV. It now includes support for videos hosted on Apple Music. Long-distance wireless charging firm Energous partners with Apple supplier Dialog — Energous, a startup specialising in long-distance wireless charging, recently inked a deal to develop and market hardware components through longtime Apple chip supplier Dialog Semiconductor, suggesting a future iPhone might support similar technology. New Japanese ad for Apple’s iPhone 7 centers on speed of Apple Pay — Apple Japan has posted a new video ad for the iPhone 7, pushing one of the unique local advantages of using Apple Pay – speed thanks to FeliCa. 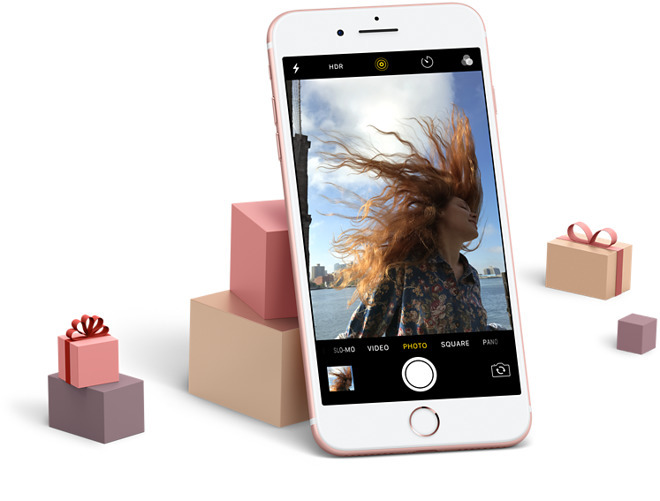 Apple publishes 2016 Holiday Gifts guide promoting iPhone 7, other core products — Apple has published its annual holiday gift guide, this year putting an even stronger marketing spotlight on its core products. The 2016 guide highlights specific devices: the iPhone 7, Apple Watch, iPad Pro, 12-inch MacBook, and Apple TV. Each product except for the Apple TV is accompanied by a pair of suggested accessories, and a link to see more. Rome: Total War for iPad ships — Feral Interactive has brought this popular Mac/PC game to iPad, which was no mean feat, as it included figuring out how to make mouse and keyboard controls work on a touch interface. It’s NZ$14.99/US$9.99, and Feral has released a new trailer for it. 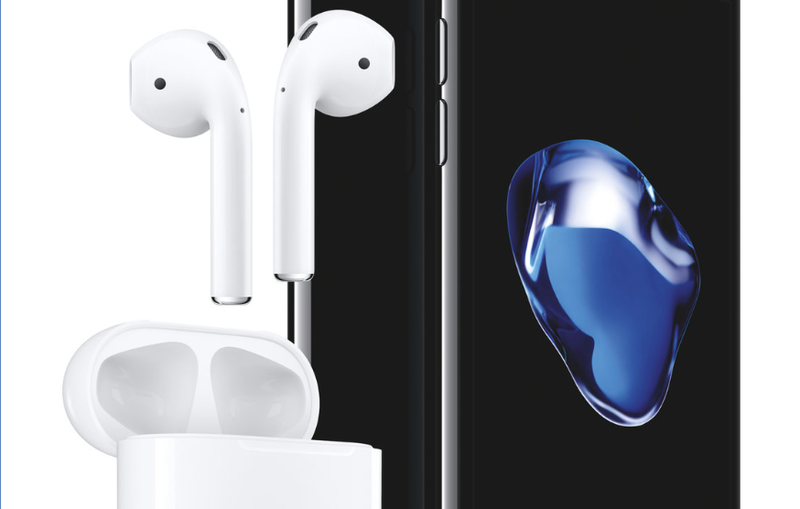 Apple’s AirPods rumoured to be available next week — First, Apple’s AirPods were supposed to ship in ‘late October.’ Then they were moved to ‘later in the year’. 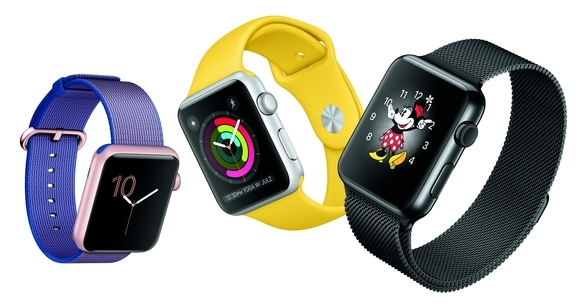 Then a report from the Economic Daily News (via Digitimes) says that they won’t begin shipping until January 2017. Now an employee at Apple reseller Conrad reportedly told a customer it will receive AirPods stock on November 17, and make them available to purchase by November 18-19th. Adobe Photoshop Express now lets you edit Google Photos on your phone — Now you can bypass the Camera Roll by importing and editing photos from your Google account. Apple TV universal search expands to CW Seed shows like ‘Whose Line is It Anyway,’ ‘Vixen’ — Apple has silently updated its universal search for the fourth-generation Apple TV, flagging CW Seed, MUBI, and Hopster as viewing options when a person has the appropriate apps installed. The behind-the-scenes update also allows for Apple TV app installs from iOS or iTunes. UK ministers of parliament have been told not to wear Apple watches at meetings in case ‘Russians’ are using them to listen in. The iPhone 7 Plus makes up 30% of new model iPhone sales — Survey data from Fiksu indicates that the iPhone 7 Plus now makes up 30% of iPhone 7 sales, the highest percentage ever for the Plus models. The ratio may go even higher for the December quarter. 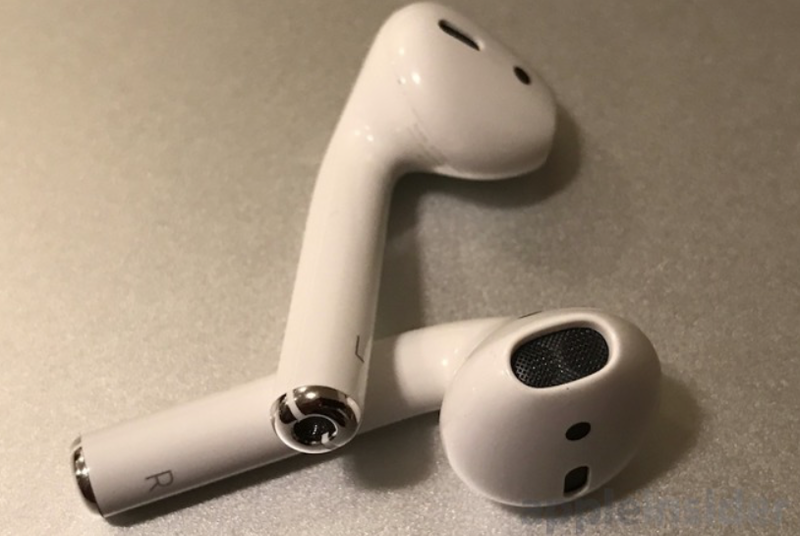 Apple AirPods: a strategy of ambience and scarcity — UBS financial analyst Steve Milunovich has presented an interesting theory about Apple’s Ambient strategy: “…different input/output methods that can be flexibly utilized depending on the situation (sitting, walking, running, driving). Collectively these devices offer the capability of earlier products … delivered as a seamless user experience.” In addition, the notion of created and evolving scarcity punctuates the Apple strategy. Official Apple figures peg iOS 10 adoption rate at 54% — Apple this week released the first official statistics on iOS 10 adoption since the OS went live in September, revealing more than half of compatible devices are now running current generation software. Dropbox gets Messages app, new widget & more for iOS 10 — Later today Dropbox will release a major iOS update, adding features like a new widget and a Messages app for iOS 10, and the beginnings of better multitasking support on iPads. Facebook launches Slack competitor Workplace with iOS, Android & Web apps — Facebook on Monday officially introduced Workplace, a long-in-testing collaboration tool for businesses and other organizations, aimed at challenging similar offerings from the likes of Slack. Potential Apple Watch snooping: a not-so-paranoid cyberespionage risk — UK ministers have reportedly been barred from wearing the Apple Watch in sensitive meetings. It sounds paranoid, but the next time you enter a highly confidential meeting, leave your smart watch behind. It’s possible the device could be spying on you. Ministers in the UK have recently been banned from wearing Apple Watches during cabinet meetings on fears that the devices could be hacked by Russian cyberspies, according to The Telegraph. 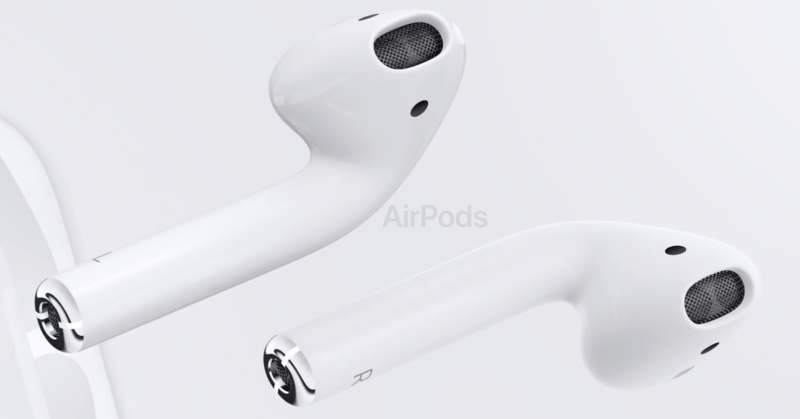 AirPods earbuds — Apple’s new wireless (ie, cord-free) AirPods are designed to connect to the iPhone and Apple Watch over Bluetooth, to let you quickly switch between which device where they’re streaming audio. They include built-in microphones for noise reduction and phone calls. The just-announced W1 chip is the heart of AirPods. This provides better audio while managing the AirPods’ built-in optical sensor, dual accelerometers, and microphone. AirPods sport five hours battery life between charges, and the carrying case has a built-in battery you can use to recharge and extend that to 24 hours. Unlike many wifi earbuds, they don’t even have a cord connecting one to the other – this is wireless too. 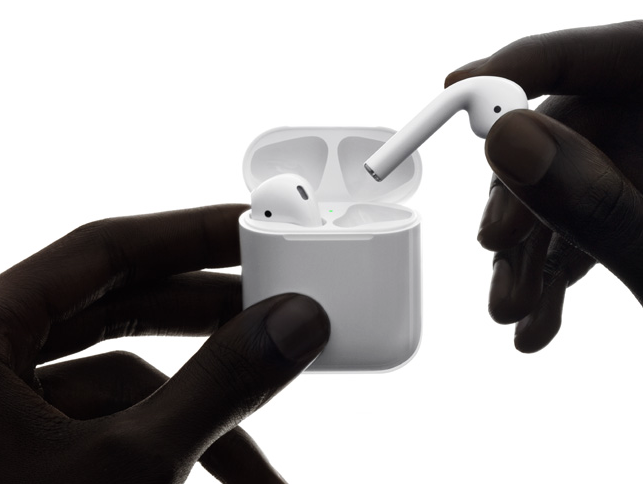 NZ prices, availability — The new Apple-designed wireless AirPods including charging case will be available for RRP NZ$269 inc.GST from Apple.com beginning in late October. All iPhone 7 and iPhone 7 Plus models will include EarPods with Lightning Connector and a Lightning to 3.5 mm Headphone Jack Adapter, also sold separately at Apple.com for RRP NZ$49 inc.GST and RRP NZ$15 inc.GST, respectively. Pokémon GO Coming to Apple Watch — Pokémon GO is coming to the Apple Watch later this month, fixing a glaring omission in the game when it first launched on the iPhone. 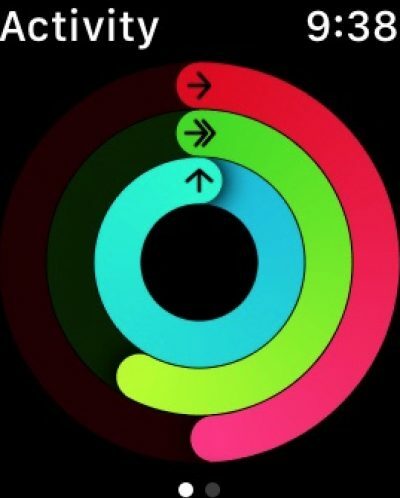 The Apple Watch version gives you notifications your wrist, lets you track in-game activities, and ties in with fitness tracking, too. Nintendo’s Mario coming to the iPhone and iPad — Nintendo’s Mario character is coming to the iPhone and iPad in a new game called Mario Run. It’s coming in time for the holidays, but pricing hasn’t yet been announced. You can play the game one-handed and engage in a new battle mode called Toad Battle.